or you wait until you are on the edges of civilization before you light one. and the Faiyum were spent in hotels. We all missed the desert but - oh how I loved those showers! A massive one ton granite statue of the pharaoh Taharqa has been found in Dangeil, deep inside Sudan. Taharqa was a pharaoh of the 25th dynasty of Egypt. This was a period of Kushite rule, which means that Taharqa and his fellow rulers were from Nubia and drew their power-base from there. The site is located approximately 350 km northeast of the modern Sudanese capital of Khartoum – in the general vicinity of the fifth Nile cataract. In addition to Taharqa, archaeologists have found statues of two other Napatan kings at the site - Senkamanisken and Aspelta. Neither of these rulers controlled Egypt. Photo for Today: Mustafa, inspecting the downside. Literally. travel over that particular crest. and lightening the load for the vehicles. “In this Heritage Key video, Dr. Janice Kamrin, head of the Egyptian Museum Database Project, shows and discusses some of the lifestyle objects found in Tutankhamun’s tomb by Carter in 1922, and now housed in The Egyptian Museum in Cairo. Board games, and containers for perfumes, cosmetics and unguents, are amongst the objects shown in this video that give an insight into the livestyles of the rich and famous ancient Egyptians. You can catch up on the previous videos in this series when Dr Kamrin looks at Animal iconography (Watch the video), The Canopic Shrine, Chest and Jars (Watch the video) and last week's video on the Ritual Figures inside the tomb of King Tut (Watch the video). “After 14 centuries, a giant monolith from a submerged temple was raised from the seabed in Alexandria last week, Nevine El-Aref watched the dramatic recovery. There was more activity than usual in Alexandria's Eastern Harbour last week as a team working offshore made preparations to ready the dock for the unloading of a giant piece of history. An enormous yellow crane stood ready to lift a pylon, or ceremonial entrance tower, belonging to the Ptolemaic temple of Isis Lochias which has been under the sea for 14 centuries. Meanwhile, five underwater archaeologists in diving gear were inspecting the planned route on the seabed along which pylon tower would be moved. There is very little news today but I really do need to test this email interface into Blogger, so here’s a bit of trivia for you. There’s a photo of the pyramid clock on the above page. It is just as well that I didn’t see this before Christmas or most of my friends would have found themselves with one! “This book suggests a regional paradigm for understanding the development of the traditions about Egypt and the exodus in the Hebrew Bible. It offers fresh readings of the golden calf stories in 1 Kgs 12:25-33 and Exod 32, the Balaam oracles in Num 22-24, and the Song of the Sea in Exod 15:1b-18 and from these paints a picture of the differing traditions about Egypt that circulated in Cisjordan Israel, Transjordan Israel, and Judah in the 8th century B.C.E. and earlier. In the north, an exodus from Egypt was celebrated in the Bethel calf cult as a journey of Israelites from Egypt to Cisjordan, without a detour eastward to Sinai. This exodus was envisioned in military terms as suggested by the nature of the polemic in Exod 32, and the attribution of the exodus to the warrior Yahweh, Israel’s own deity. In the east, a tradition of deliverance from Egypt was celebrated, rather than the idea of a journey, and it was credited to El. In the south, Egypt was recognized as a major enemy, whom Yahweh had defeated, but the traditions there were not formulated in terms of an exodus. I'm off to my mountain retreat tomorrow with my father. This now has a landline phone but no broadband so I will be picking up emails but having very little time on the web. I have changed my Blogger settings so that I can email stories in to the blog instead of updating via the web. I've tested it and it appears to be working This will mean that the posts will not have their usual formatting. I will schedule the "photo for today" to go automatically. There has been so very little news to report recently that there may be days with photos and no accompanying posts! I'll be adding news items as and when they arrive today, rather than doing them in the usual block, so that I can be sure that the email solution works. what would would impress you? The reinstallation of the Islamic art galleries at the Brooklyn Museum includes works from the 8th Century to modern times. Opened on June 5, 2009, the permanent display highlights 134 objects from some 1,700 in an American collection considered top-notch by art historians. Twenty works have never before or rarely been seen by the public. Especially strong in later Iranian art, the Brooklyn Museum's Islamic holdings come from North Africa, the Middle East, Central and Southeast Asia. On view are illustrated and illuminated manuscripts, calligraphies, drawings, oil paintings, ceramics, glass, metal- and woodwork, carpets, costumes, textiles, jewelry and architectural elements. Originally part of the Department of Ethnology in 1903, the collection was administered by the Department of Asian Art from the 1980s until 2007. The museum's reinstallation uses new signage, explanatory texts and maps to describe the thematically arranged works from Iran, Iraq, Egypt, Syria, Turkey, Afghanistan, Uzbekistan, Turkmenistan and other countries. The Ministry of Culture has completed renovation works of Alexandria Royal Jewelry Museum in preparation for inaugurating it at the beginning of 2010. The Museum has been supplied with the state-of-the-art showcases suitable for exhibiting valuable jewelry that were owned by Mohamed Ali family. Culture Minister Farouk Hosni, Alexandria Governor, Dr. Zahi Hawas will attend the ceremony. Minister Hosni said the project took three years to complete and cost LE50 million. Prehistoric sites were first found in the area of the First Cataract of the Nile more than a century ago (Weigall 1907; Reisner 1910; Junker 1919). These sites were assigned to the A-Group culture (Reisner 1910) because of the Nubian elements indentified in their material remains. A Nubian cultural affiliation was expected since the sites were located in the region of Aswan, positioned at the border between Egypt and Nubia. However, a review of the available data has shown that, in the area surrounding Aswan and southward to Metardul, the percentage of Nubian material is always extremely low compared to the Egyptian component, thus suggesting that the sites in this region should be affiliated with the Naqada culture rather than the Nubian A-Group (Gatto and Tiraterra 1996; Gatto 1997; 1998; 2000; 2006a; 2006b). 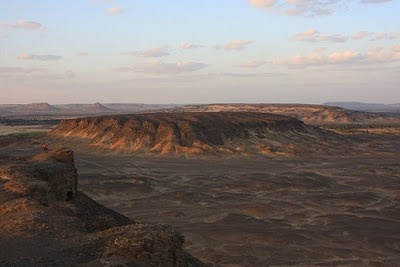 1) What is a frontier, and so how should we define the Egyptian-Nubian frontier? 2) What are the cultural consequences resulting from the interaction of two human groups in their boundary zone, and how can this be detected in the archaeological record? Bearman, G. & W.A. Christens-Barry. 2009. Palarch’s Journal of Archaeology of Egypt/Egyptology 6(7) (2009), 1-20.
help improve readings. We report on extensive spectral imaging of ostraca over the visible and near infrared. Spectral imaging acquires the complete spectrum for each pixel in an image; the data can be used with an extensive set of software tools that were developed originally for satellite and scientifi c imaging. In this case, the spectral data helps explain why infrared imaging works to improve text legibility (and why not in some cases). A better understanding of the underlying imaging mechanism points the way for inexpensive methods for taking data either in the fi eld or at museums. Abstract: During January and February 2004, an interdisciplinary group from the Institute of Developing Countries at the Faculty of Geography and Regional Studies of Warsaw University spent time at the Farafra Oasis in Egypt, observing changes in resource management and transformations in the society. The aim was to compare the results with those of earlier studies conducted in 1993. Egyptologists like Morenz, Piankoff, Mercer, Frankfort, Faulkner, Assmann, Hornung or Allen have good reasons to stress the difference between the Greek and the Pharaonic perspective on initiation (from the Latin "initio", introduce into a new life). The Egyptians maintained a series of rituals aimed at "a constantly renewed regeneration" (Hornung, 2001, p.14). At best, the Greeks induced the point of death in order to glimpse into its darkness, to "see the goddess" and renew. But they had no "science of the Hades" as in the Amduat. The active continuity between life and death found in Egypt, contradicts the closed and separated interpretation of the Greeks, fostering "escapism" (the "body" as a "prison" out of which one needs to escape). In Egypt, no "new" life was necessary. Death could bring "more" life. For both life and the afterlife depended on identical conditions : offerings ; either directly to the deities through Pharaoh or indirectly to the Ka of the deceased. If dualism fits the Greeks, triadism is Egyptian. Tim has helpfully assembled a list of Egyptian artefacts which are not in Egypt's hands but are of considerable importance. Very topical at the moment, of course. This is a list of the most important Egyptian artifacts not the property of Egypt's Supreme council of antiquities. Though there are certainly more contenders for the list including perhaps the gold headdress of a wife of Thutmosis III in New York's Metropolitan museum of art or the Norbert Schimmel talatats from that same institution. A lovely photograph of Theban Tomb 1 (the tomb of Sennedjem) at Deir el Medina, taken by Sandro Vannini, has been added to Hawass's site. THEY were one of the world's most famous couples, who lived lives of power and glory but who spent their last hours in despair and confusion. Now, more than 2000 years since Antony and Cleopatra walked the earth, historians believe they may finally have solved the riddle of their last hours together. A team of Greek marine archaeologists, who have spent years conducting underwater excavations off the coast of Alexandria, Egypt, have unearthed a giant granite threshold of a door they believe was once the entrance to a magnificent mausoleum that Cleopatra VII, queen of the Egyptians, had built for herself shortly before her death. They believe the 15-tonne antiquity would have held a seven-metre-high door so heavy that it would have prevented the queen from consoling her Roman lover before he died, reputedly in 30BC. Mr Tzalas believes the discovery of the threshold sheds new light on an element of the couple's dying hours which has long eluded historians. The Art of Ancient Egypt: A Resource for Educators. Available for download free of charge in PDF format. Last Thursday, I went to Alexandria in order to remove an important artifact from the water of the harbor. This was the tower of the pylon, likely from the Ptolemaic temple of Isis in the area known as Chatby. I had been convinced since 2002 that we should not take any major artifacts out of the water, but rather leave them there to be placed in the Underwater Museum we are planning. Also, it is difficult to remove these large pieces from the water, and it takes a lot of work and care to remove the salt from artifacts. But recently I was convinced to raise this piece by the head of the Greek mission, Dr. Harry Tzalas, who directed underwater excavations in the area in 1998. His team discovered 400 ancient artifacts and architectural elements. I would also like to acknowledge the work of Abu Saadat, an Egyptian diver who surveyed Chabty in 1960. He was not an archaeologist, so he was not able to recognize many artifacts, but his survey work contributed to the archaeology of the area. The Greek expedition was able to recognize the artifacts, and they worked in cooperation with the Department of Underwater Antiquities of Alexandria at the coastal area of Chatby. The two most important of the 400 the Greek mission found are the 9-ton pylon tower, and the 15-ton threshold of a door. Both are made of granite and are of great historical importance in reconstructing the great city of ancient Alexandria. Ancient authors such as Plutarch and Strabo write about Cleopatra’s palace being located in this area, with her mausoleum and a temple of Isis right next to it. It seems likely that this pylon tower was for that temple of Isis, since it was the only temple in the area, and the threshold, which was found very near to it, could be for the door of Cleopatra’s tomb. An older story, but I managed to miss it somehow. The tomb of Tutankhamun is one of the world's most famous ancient spots. Yet spots are precisely what are causing the decay of its beautiful wall paintings. The US-based Getty Conservation Institute have been drafted in to help mend the murals, but have been finding it an uphill struggle in the face of fierce desert weather and the onslaught of eager tourists. Dr Zahi Hawass, Egypt's antiquities chief, has long bemoaned the damage tourists are doing to tombs at the Valley of the Kings; the necropolis of ancient Thebes near modern Luxor. Dr Hawass has even mooted the idea of a replica Tut's tomb to cater for a burgeoning demand for the boy-king. Whether tourists will be satisfied without a trip to the real thing is debatable to say the least (have you say here). And our composite picture (below), combining an original snap from Harry Burton and a recent shot by Sandro Vannini, clearly shows the brown spots have been in the tomb since Carter and Carnarvon first burst in over 80 years ago. So how much of its deterioration is due to tourism? Getty spokesperson Melissa Abraham tells us: "(The brown spots) have indeed been there since the tomb was discovered, and have never properly been analyzed, so that will be part of the GCI's task. The visitor impact on the site is a separate issue that also will be looked at." Television interview with Marina Escolana, in Catalan. If you speak Spanish you'll probably be able to get to grips with it. Ha estat directora adjunta de l'expedició arqueològica de l'Egypt Exploration Society a l'antiga ciutat egípcia de Sais i acaba d'aconseguir una beca Fullbright per aprendre demòtic, és a dir, l'última etapa de l'idioma egipci. Només hi ha una dotzena de persones al món que en saben. This past year we found a new tomb in Saqqara, in the Gisr el-Mudir area. I was there when we opened a sealed limestone sarcophagus. Before the event, I could not sleep because I could not stop thinking about the excitement of that moment. When I arrived, I came down about 11 meters underground, where we began to open the sarcophagus, which had not been touched in 2600 years. If there was to be a mummy inside the coffin, they would have to be rich, because the limestone of the sarcophagus was very high quality, which means it would have been very expensive. To remove the lid, which is very heavy, many people had to work together to shift it. When you open something like this it is very exciting, You never know what amazing secrets are hidden inside. The only way to truly understand the feeling is to experience it for yourself. The mummy inside the coffin was kept safe, it is beautifully preserved. We plan to examine it using the CT scan machine to see inside, because most mummies of this period contained many amulets on the body inside the wrappings. With video. It wouldn't load for me, but it is probably the same video as that on the drhawass.com website (see next post). The camera pans across creepy piles of heavily decayed human bones lying in corners – the latest intact tomb located at the massive necropolis of Egypt’s ancient capital Memphis, located 40 kilometres south of Cairo, is evidently one rich in human remains. The unidentified body found lying inside a giant limestone sarcophagus is the prize of them all. Exhibition: More re "Secrets of Tomb 10A"
A good overview of the exhibition. With some photos. Flashing against a wall are the stark black-and-white images of ancient greed. Inside a 4,000-year-old tomb in which a governor and his wife hoped to make the journey into the afterlife is calculated chaos wrought by robbers intent on stripping the burial site of its valuables. In their frantic search for jewels and precious metals, looters had ransacked the small stone chamber, ripping apart wooden coffins, tossing objects deemed insignificant into heaps, and even tearing apart the two mummies, leaving the head of one on top of the governor's coffin and the torso of the other propped in a corner. Then they set fire to the plundered pyramid. But in one telling photograph, a jumbled pile of carved figures attests to an enduring presence, one that survived fires, robbers and thousands of years underground. In fact, what archaeologists in the joint 1915 Harvard University-Museum of Fine Arts Expedition unearthed while digging in Deir el-Bersha, a necropolis in central Egypt, was a treasure of previously unseen proportions. The discovery led to nearly a century of work to reassemble the final resting place of an official named Djehutynakht and his wife, and piece together not only the funerary practices of a great bygone civilization but reconstruct daily life in an unheralded time of peace, prosperity and artistic achievement. The dramatic result is "The Secrets of Tomb 10A: Egypt 2000 BC," a comprehensive exhibit set to run through May 16, in the Gund Gallery at the Museum of Fine Arts (MFA) in Boston. On view in its entirety for the first time, the contents of the tomb include elaborately carved and painted coffins, with spells designed to ferry the couple safely into a higher plane, as well as representations of food, drink, clothing and servants meant to magically serve and sustain them in their new existence. Here's the 2009 blog Christmas card with best wishes to everyone, whether your celebrate Christmas or not (click to see the large version if required). I've escaped the chaos of pre-Christmas London and am now in Wales for a very quiet few weeks. Here's a short selection of odds and ends to celebrate Christmas. Most of them are general archaeology rather than Egyptology. ARCHAEOLOGY's annual list of the year's most exciting discoveries--from North America's earliest canals to evidence for chemical warfare at a Roman outpost in Syria--highlights sites, artifacts, and scientific studies we feel most enrich our knowledge of the past. Archaeology is an incremental science, and "eureka" moments are rare. Often the most significant advances result from many years of research. For instance, we feature the work of archaeologists who have dug for four decades at a second-century B.C. Greek city in southern Russia. They were only recently able to identify a large structure at the site as the palace of King Mithradates VI, a legendary foe of Rome. Two elite tombs excavated this year are on the list, one belonging to a Moche lord in Peru and the other to a family of Iron Age priestesses on Crete. Meanwhile, graves of exotic animals now emerging at the Predynastic Egyptian capital of Hierakonpolis show that the city's rulers kept extensive menageries--the world's first zoos. We hope 2009's remarkable finds inspire you to make your own connections with the past, and whet your appetite for the discoveries to come. 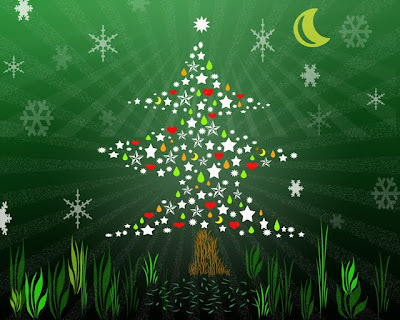 The Christmas Tree: We might curse the fact that we're still picking pine needles out of our toes come spring, but the idea of decorating your house with greenery at winter goes back thousands of years. King Tut may never have seen the multicoloured mess we put up with nowadays, but he would have had date palm leaves scattered around his royal abodes on the winter solstice. Vincent has gathered together a terrific selection of Ancient Egyptian Games that you can play online. Enjoy! Many of the stories I chose for the top ten overthrew long-prevailing theories concerning human evolution and human migrations around our big blue marble. Others include a startlingly complex civilization discovered in Peru and a slab of serpentine appears to present information about the ancient roots of language in Mesoamerica. A man who was pulled out of a melting glacier in the Alps provided an astoundingly clear window into life as it was lived 5,000 years ago. It's truly been an amazing ten years. Despite the biblical references to the Holy Family's journey to Egypt: Take the young child and his mother and flee into Egypt [Matt: 2:13], and Out of Egypt have I called my son [Matt: 2:15], outside of the Coptic communities around the world, the early years of Jesus are not as widely known as the Nativity, the Passion, and the Resurrection. Is it not time to stage a three-act play in Coptic churches that combines the Nativity with the Flight into Egypt? It should be borne in mind that, apart from Copts in Egypt and the Middle East as a whole, there are more than 500,000 in the United Sates, 100,000 or in Canada, 300,000- odd in Australia, and more than a million residing in Europe, Latin America, Africa and New Zealand. 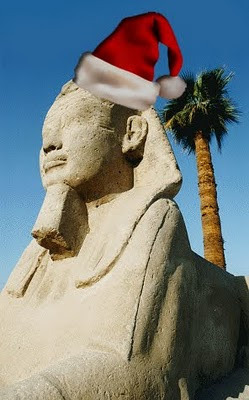 From the East Father Christmas arose, and in the West he became a popular iconic totem, now his status has partially been reinstated in Egypt and much of the Orient precisely because of the spread of Western-style consumerism, a way of life the Greek Saint Nicholas may not have approved of, writes Gamal Nkrumah, through the lens of Sherif Sonbol. As an experimental archaeologist and independent researcher, I've spent the last 30 years investigating the eating habits of ancient civilisations - including their ancient Christmas dinners. Here are some tips and recipes for the perfect xmas dinner that I've collected along the way. I use a technique that I've developed over the years to explore the practical aspects of the daily lives of prehistoric Europeans. The approach is based on the theory that the inherent skills and ingenuity of prehistoric European is still latent in the people of Europe today. But the skills of surviving in the northern European landscape have been forgotten because we no longer have a use for them in our modern-day society. During my researches I have discovered that these skills are very easily acquired – particularly if one is not impeded by any training in the skill to be researched. It has to be approached purely by logic. It is essential, though, not to single out any particular skill, but to attempt to do all the required jobs that a prehistoric settlement would have to do to survive. It really is the silly season here in Wales. I hope that everyone who celebrates it has a good day tomorrow. New Year yet to come. Exhaustion all round. A team of Greek marine archaeologists who have spent years conducting underwater excavations off the coast of Alexandria in Egypt have unearthed a giant granite threshold to a door that they believe was once the entrance to a magnificent mausoleum that Cleopatra VII, queen of the Egyptians, had built for herself shortly before her death. They believe the 15-tonne antiquity would have held a seven metre-high door so heavy that it would have prevented the queen from consoling her Roman lover before he died, reputedly in 30BC. "As soon as I saw it, I thought we are in the presence of a very special piece of a very special door," Harry Tzalas, the historian who heads the Greek mission, said. "There was no way that such a heavy piece, with fittings for double hinges and double doors, could have moved with the waves so there was no doubt in my mind that it belonged to the mausoleum. Like Macedonian tomb doors, when it closed, it closed for good." Tzalas believes the discovery of the threshold sheds new light on an element of the couple's dying hours which has long eluded historians. In the first century AD the Greek historian Plutarch wrote that Mark Antony, after being wrongly informed that Cleopatra had killed herself, had tried to take his own life. When the dying general expressed his wish to pass away alongside his mistress, who was hiding inside the mausoleum with her ladies-in-waiting, he was "hoisted with chains and ropes" to the building's upper floor so that he could be brought in to the building through a window. Plutarch wrote, "when closed the [mausoleum's] door mechanism could not open again". The discovery in the Mediterranean Sea of such huge pieces of masonry at the entrance to what is believed to be the mausoleum would explain the historian's line. Tzalas said: "For years, archaeologists have wondered what Plutarch, a very reliable historian, meant by that. And now, finally, I think we have the answer. "Allowing a dying man to be hoisted on ropes was not a very nice, or comforting thing to do, but Cleopatra couldn't do otherwise. She was there only with females and they simply couldn't open such a heavy door." The threshold, part of the sunken palace complex in which Cleopatra is believed to have died, was discovered recently at a depth of eight metres but only revealed this week. It has yet to be brought to the surface. Egypt's antiquities chief announced plans on Wednesday for a conference to help coordinate the strategy of African and Asian countries who had artifacts 'stolen' from them. 'At the end of March we will hold a conference to meet with others who suffered like us from stolen artifacts and to discuss how to help all of us in efforts to return the stolen artifacts,' said Zahi Hawass, the secretary general of Egypt's Supreme Council for Antiquities. Everyone makes the same assumption that we stole it from the French and the Egyptians had no say in it. Your latest post mentions the treaty of Alexandria, which was indeed signed by the British and the French commanders, but no one seems to mention, or want to, or indeed even know, it was also signed by the OTTOMAN commanders. It was an Ottoman Govenrment in Egypt at the time, which was the recognised legitimate government at the time (regardless of if the modern Egyptians don't like that). Peace treaties are invariably signed by Army commanders, who represent their respective governments. New tests show the limestone and plaster bust of Queen Nefertiti is too fragile to fly home to Egypt for a temporary exhibition, the Berlin museum that owns the disputed artwork said Tuesday. It issued the statement two days after the Egyptian Museum's director, Friederike Seyfried, met in Cairo with Egypt's antiquities chief, Zahi Hawass. She said she did not negotiate over the 3,500-year-old bust with Hawass. The future of the exquisite head is highly political, as underlined by the fresh assessment of the bust in recent days. 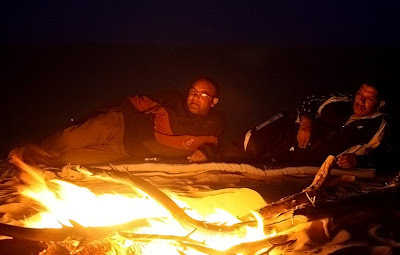 in Bahariya as the sun began to set. you do have to know what you're looking for. And Chris does. Please note that Chris put everything back exactly as he found it. It is great to see that Jane is up and about and getting to the Mummification Museum lectures again. Here's her latest report. Identified on Friederike Kampp’s catalogue Amenhotep was a vizier, Huy is a common abbreviation or nickname for someone called Amenhotep. The tomb is ahead and down from the XI dynasty tomb TT366 Dyar and next to the XVIII dynasty tomb of TT192 Kheruef. It was discovered in May 1978 by Andrew Gordon and Dieter Eigner and is from the time of Amenhotep III 1387-1348 BC. See the above page for the rest of Jane's notes. As the subject of our first profile we spoke with Salima Ikram, Professor of Egyptology, who has been with AUC in various capacities since 1995. Salima is a native of Lahore, Pakistan. A visit to Egypt in early childhood hooked her for life on the mysteries of the Egyptian past. She was educated primarily at Bryn Mawr College and Cambridge University, with a year in between as a Study Abroad student here at AUC. Salima is a powerhouse of productivity, with ten authored or edited scholarly books and six books for children, along with dozens of articles and conference presentations. She has also appeared in a staggering number of television specials and documentary films (since Egyptology is a beloved field around the world, after all). Among other honors, she was the 2007 winner of the AUC Excellence in Research and Creative Endeavors Award. Salima is also known around campus for a friendly personality and an excellent sense of humor. For all of these reasons, she seemed like an ideal candidate to launch our new Faculty Profiles series with the following interview. I hope you enjoy it as much as I did. Public response to the Canadian exclusive of King Tut: The Golden King and the Great Pharaohs continues to be overwhelmingly positive, with more than 100,000 tickets sold since they became available just under three months ago. Current Research in Egyptology XI will be held in Leiden (Netherlands) this year from 5th to 8th January 2010 and the full programme is now available at the above blog site. Since the British seized the Rosetta Stone, considered by scholars as having been very crucial to the modern understanding of Egyptian hieroglyphics, from the French on the defeat of Napoleon's army in 1801, they cannot claim any right greater than that of the French, except if you concede that the powerful can take whatever they like from any country. The Egyptians never consented to such a seizure or removal. The capitulation agreement, the Treaty of Alexandria (1801), was an agreement between the victorious British and the defeated French. The surrender, resulting in the seizure of Egyptian artefacts under the control of the French, some allowed to be taken to Paris and others, including the Rosetta Stone, taken to Britain, was an affair between two European imperialist powers at the cost of an African country, not recognized by either combatant State as equal partner at the International Law level. Thanks to Jan Picton for the terrific news that the annual book auction was a huge success and raised more than £11,500.00 (UKP), largely thanks to the superb library donated to them by Phyllis Grierson. The book auction raises funds for the Petrie (in London, UK) to help them to continue conservation and other works in support of the magnificent collection. For anyone interested in rock art, Egyptian or otherwise, it may be worth checking out the above INORA page. The newsletter is available to download free of charge in PDF format. The most recent issue showing on the page (2008) has an article by Dirk Huyge on Quta in Egypyt, two on Moroccan rock art and various covering topics in Europe. Several rockshelters and smaller caves in the southern Gilf el-Kebir area provided Neolithic paintings, but there is a variability of topics and meanings between the individual sites. This paper examines the so-called “swimmers”, and compares their form with ethnological analogies: the acrobatic dances of actual Africa. Keep an eye on the above page if you're interested. "Eveline Zahradnik. 2009. Zur Darstellung eines Königs mit krankhaftem Beinbefund auf dem Relief 'Spaziergang im Garten' Spectral Imaging of Ostraca. – PalArch’s Journal of Archaeology of Egypt/Egyptology, 6(8) (2009)" was written on the December 23, 2009 at 09:25 on "PalArch". *Abstract* The relief Berlin 15000 from the Amarna Period, known as ‘The Stroll in the Garden’ most likely shows Tutankhamun with an injury of the left leg. According to a specialist in accident surgery who also practices sports medicine, the relief shows a man leaning on an auxiliary crutch whose left leg seems to be injured, as he is holding the crutch on his right side. This assumption is further strengthened by the fact that in 2005, a new CT scan of the mummy of Tutankhamun diagnosed a fracture of the left leg. Tutankhamun was also the sole king to be represented with sticks in his hands, and a high number of sticks were among his grave goods. I elaborate on the unusual representation of a young king holding a staff and the potential medical consequences and complications of a broken leg. "In most Egyptian tombs you've either got the wall paintings or the coffin." Fiona, 8th Countess of Carnarvon says, stressing the uniqueness of Tutankhamun's tomb, the greatest discovery in history. Its treasures may be well documented, less so the incredible wall paintings that greeted Howard Carter and Lord Carnarvon when they burst through in 1922 (Watch a special video on the discovery here). Lady Carnarvon, herself a two-time author on the Tutankhamun phenomenon with Carter & Carnarvon (click here to buy) and Egypt at Highclere: The Discovery of Tutankhamun (click here to buy), seems totally engrossed in the walls she and husband George Herbert, 8th Earl of Carnarvon have replicated in the bowels of Highclere Castle. I've never thought of the the Western Desert, the oases and Gilf Kebir as anything other than a festival of shape, light and colour but this flickr site, which was thrown at me by Google Alerts, shows it in monochrome. The shapes and light are given the floor and they look fantastic. Well worth a look if you love the Western Desert and you're interested in photography. They were taken in 2009 and uploaded this month. Lovely. Photograph of the temple of Kom Ombo lit up at night. I don't usually feel the need to mark birthdays but this pair seemed very well worth noting. Jean Francois Champollion was born today in 1790. Karl Lepsius was born today in 1810. With photos. General day by day account of Hawass's recent visit to London. Here's a short extract. On the day I arrived in London, I went to the British Museum, where there was a very nice reception in the ancient Egyptian sculpture gallery. Neil MacGregor, the director of the museum, and Vivian Davies, the Keeper of Egyptian Antiquities, were present along with many other Egyptologists and many people who love Egyptology and Egypt. I was pleased also that the Egyptian Ambassador to England, Hatem Saiful Nasr, attended with his wife and gave a speech. Mr. MacGregor also gave a speech during the reception, as well as the President of the British Egyptian Society. 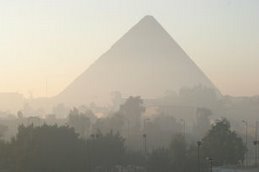 some Egyptology photos for my laptop, I'm afraid we're back to the Western Desert! I love the desert scenery but I do realize that desert pics are not to everyone's taste. On Thursday, the Minister of Culture, Farouk Hosni, and the Secretary General of the Supreme Council of Antiquities (SCA), Dr. Zahi Hawass, witnessed the extraction of a red granite tower, originally part of a pylon, from the Mediterranean seabed at the archaeological site of Alexandria’s eastern harbor. Hosni described the pylon’s tower as unique among Alexandria’s antiquities. The Minister explained that it was discovered in 1998, along with 400 other artifacts, by a Greek archaeological mission in collaboration with divers from the Underwater Archaeology Department in Alexandria while conducting a comprehensive archaeological survey along the coastal area of Qaitbey. Hosni added that the tower is 2,25 meters tall, weighs 9 tones, and is cut from a single piece of red granite. Hawass announced that although the SCA has prohibited the removal of submerged artifacts since 2002, the tower is considered an exception – it is intended as the centerpiece for the future Underwater Museum to be constructed in the Stanley area of Alexandria. The museum will exhibit over 200 objects taken from the seabed of Alexandria’s eastern harbor and from Abu Qir. Hawass explained that the SCA has prohibited the extraction of submerged pieces because on the one hand, the SCA is conducting an extensive archaeological and cultural project with UNESCO, studying all the procedures necessary to build a new underwater museum in Alexandria. Visitors will be able to enjoy an underwater tour walking along special tunnels among the different sunken artifacts. On the other hand, extracting further pieces would require a great amount of time as would the cleaning the objects from accumulated salts. According to Harry Tzalas who headed the 1998 mission, the tower was part of an entrance to a temple dedicated to Isis Lochias located on Cape Lochias. According to ancient sources, Cleopatra’s Mausoleum was near this temple – a door lintel and a coin bearing the image of a similar tower were among objects discovered in 1998. At the eastern harbor is where Mark Antony died after being defeated by Octavian. It is also where Cleopatra tragically ended her life. However, we do not think the couple was buried here. On December 17, Egypt’s Culture Minister, Farouk Hosni, and the secretary general of the Supreme Council of Antiquities (SCA), Dr. Zahi Hawass, unveil yet again an important find in Egypt’s Mediterranean coast. The precious artifact is to be the centerpiece in the future Underwater Museum to be constructed in the Stanley area of Alexandria. The museum is set to display over 200 objects excavated from the Mediterranean over the past several years. Media attending an international press conference at the Qait Bey Citadel on the eastern harbor in Alexandria - Egypt’s historic city on the Med will be given the first view of the relic. Both Hosni and Hawass will unveil a unique, sunken artifact from the Mediterranean’s seabed. This piece is said to be a granite pylon tower of Isis temple found beside the Cleopatra Mausoleum off the royal quarter at the eastern harbor. With photo. For anyone who missed the story there's a good summary on Al Ahram Weekly by Nevine El-Aref explaining the background to the return of the paintings to Egypt (also with photo). I am pleased that the five paintings from the tomb of Tetiky have been returned to Egypt from the Louvre Museum. It was very interesting that when our President Hosni Mubarak visited Paris last week, President Nicolas Sarkozy of France placed one of the paintings in the hall for President Mubarak when he arrived, so that he could symbolically receive it. This gesture shows that France is willing to return stolen artefacts to Egypt. I sent four crates from the Cairo Museum with Sayed Hassan, the assistant director of the Museum to receive the artefacts. They were well protected and travelled back to Egypt on EgyptAir to Cairo. Representatives of the SCA met them at the airport and transported them to the Cairo Museum, where they are now. We are now looking into the possibility of replacing the five paintings in the tomb, TT 15. I think it would be very difficult to put them back in the tomb, because it was severely damaged when thieves stole the artefacts. I believe returning these artefacts to Egypt is a good example to show that any museum that buys stolen artefacts will have an immediate reaction against them. However, because of the return of these artefacts, the Louvre expedition at Saqqara will be allowed to resume. One of the conditions of this treaty was the French surrendering all antiquities in their possession to the English, including the Rosetta Stone, which held the key to the secrets of the ancient Pharaonic civilization. The secrets of the hieroglyphics were later discovered by French scholar [Jean-François] Champollion, even though the Rosetta Stone itself was on display at the British Museum. In truth, I had no desire to wade into this battle, but I told the media that Egypt is demanding the return of six individual antiquities, and that the real home of these artefacts is their native Egypt. These six antiquities are; the bust of Queen Nefertiti in Berlin's Neues Museum, the Rosetta Stone at the British Museum, the Dendera Zodiac at the Louvre in Paris, the statue of Great Pyramid architect Hemiun in Hildesheim's Pelizaeus Museum, the bust of Prince Ankhhaf in Boston's Museum of Fine Arts, and the statue of King Ramses II in the Turin Museum. Egypt has firmly continued to reiterate that the bust of Nefertiti was taken out of the country illegally, and has officially requested that it be returned, according to the head of the High Council for Antiquities, Zahi Hawass, after a meeting in Cairo with Friederike Seyfried, director of the Egyptian Museum within the Berlin's New Museum. The bust, which dates back to about 3,400 years ago, was discovered in 1912 in southern Egypt by the German archaeologist Ludwig Borchardt, and Egypt has been asking for its restitution since the 1930s. According Hawass, the German archaeologist managed to bring the statue to Germany by claiming that it was a plaster bust and not the one in limestone of the queen. He said that ''this confirms that the statue left Egypt in a non-ethical manner, and that Germany used deception and fraud in that period.'' Berlin instead claims that the purchase was legal, and the museum's director has presented a document which allegedly provides proof. Egypt has not made a formal request for Germany to return the bust of Queen Nefertiti, the director Berlin's Egyptian Museum said on Monday, defending the museum's right to the famous artefact. Museum director Friederike Seyfried said the 3,500-year-old limestone sculpture was not the subject of a Sunday meeting in Cairo with Egypt's antiquities chief, Zahi Hawass. Hawass was quoted by Egyptian media Monday as saying "the Nefertiti bust was smuggled out of Egypt by a German archaeologist, through deception and obfuscation," adding that he would use official channels to demand its return. In response to the reports, Seyfried stated that documents seen by Hawass, detailing the 1912 excavation during which the Nefertiti bust was discovered, clearly demonstrated that Nefertiti was rightfully in Berlin. "The German position is clear and unequivocal. The acquisition of the bust by the Prussian state was lawful," Seyfried said. The discussion in Cairo, she added, had revolved around future cooperation, including shared exhibitions and an exchange programme for conservators. A meeting was held today at the offices of the Supreme Council of Antiquities between Dr. Zahi Hawass, Secretary General of the SCA, and Dr. Friederike Seyfried, Director of the Aegyptisches Museum und Papyrussammlung in Berlin, to discuss the Bust of Nefertiti. Dr. Seyfried presented Dr. Hawass with copies of all of the key documentation held by the Berlin Museum concerning this iconic piece. This includes the protocol of January 20, 1913, written by Gustave Lefevre, the official who signed the division of finds on behalf of the Egyptian Antiquities Service, as well as excerpts from the diary of Ludwig Borchardt, the excavator of the piece. These materials confirm Egypt’s contention that Borchardt did act unethically, with intent to deceive: the limestone head of the queen is listed on the protocol as a painted plaster bust of a princess. Borchardt knew, as his diary shows, that this was the queen herself; he also knew that the head was of limestone covered with plaster and painted, not simply of plaster, as this was clearly visible through inspection of the piece itself. It seems that there was an agreement between Borchardt and Lefevre that all the plaster pieces (which included an important group of plaster masks of the royal family at Amarna) would go to Berlin, and this appears to have been one way that Borchardt misled Lefevre to ensure that the bust would also go to Berlin. As director of the Berlin Musem, Dr. Seyfried does not have the authority to approve the return of the head to Egypt, but will act as liaison between Dr. Hawass and the relevant German officials, Dr. Hermann Parzinger, President of the Prussian Cultural Heritage Foundation, and Dr. Bernd Neumann, Minister of State for Culture. Based on the information currently in the possession of the Supreme Council of Antiquities, Dr. Hawass will call a meeting of the National Committee for the Return of Stolen Artifacts this week, which will then make a formal request for the return of the Bust of Nefertiti. Peter Grossmann, 76, spent more than four decades excavating the ruins of Deir Abu Mina, known in English as the Monastery of St Menas, in the desert near Mariout. Each year from 1961 to 2002 the German archaeologist would spend between one and three months sifting through the sand, digging up artefacts and generally trying to reconstruct an image of what pilgrims did there 13 centuries ago. Grossmann was recently honoured for his efforts by the Coptic Church. The committee organising the festivities marking the passage of 17 centuries since the martyrdom of Mar Mina, or St Menas, paid tribute to Grossmann during a seminar held recently at the St Menas Church at Fomm Al-Khalig in Cairo. Grossmann, who has been a towering figure in Christian archaeology over the past half century, spoke of the highlights of his career at a gathering of fellow archaeologists who came to Cairo for the event. The modern story of Deir Abu Mina goes back to July 1905, when a German team led by archaeologist Carl Kaufmann discovered the monastery after travelling for 30 days on camel back from the Libyan Desert. A member of the Abu Ali tribe showed Kaufmann pottery fragments found in some desert ruins. Then a Bedouin boy brought a flask inscribed in Greek. The boy led Kaufmann to the site, where the archaeologists found an expanse of ruins that looked like a major settlement. The team soon started documenting the site in sketches and photographs. Treasures from KV62 - King Tut's Funerary Figures. With video. Sandro Vannini's Photography - The burial crypt of Seti I. With slideshow. Discovering Tut - Carter and Carnarvon. With video. Culture Minister Farouk Hosni approved the Supreme Council of Antiquities’ (SCA) request to establish a museum for the revolution of July 1953 in Egypt. This will be the first ever museum for the revolution, and will be installed in the building used by the revolution’s leadership in Al-Gezirah on Zamalek Island. This decision came after the SCA’s Permanent Committee listed the site of the revolution’s leadership on Egypt’s Islamic and Coptic heritage list. This building was the location of several meetings of the revolution leaders where they made critical decisions. The building was built in 1949 by the late King Farouk on the bank of the Nile in order to be a dock for his royal yacht, and consists of three floors with 40 rooms. Today Dr. Zahi Hawass, Secretary General of the SCA, will meet architect Ahmed Mito to discuss plans to turn the building into a museum. Hawass calls all historians, artists, intellectuals and anyone interested in this subject to share in developing the museum by introducing thoughts and artistic touches to spruce up the building with the aim of turning it into a museum. “It is a complementary step to what was started in 1996 by the Fine Art department, following President Mubarak’s decision to convert the building into a museum relating the history of this great revolution that changed Egypt’s history,” said Hawass. Dr. Mohamed Ismail, General Supervisor of the Permanent Committees, said that the decision to place the building on Egypt’s Islamic and Coptic heritage list underlines its architectural and historical importance. The building’s architectural condition, continued Ismail, was inspected by SCA experts as a first step toward its development. Thanks very much to Bob Partridge for letting me know that Harry James has passed away. Harry James was a Vice-President and former Chairman of the Egypt Exploration Society, and former Keeper of Ancient Egypt at the British Museum. He died last Wednesday after being in hospital for a few weeks. Ever since the first serekh of Narmer from the southern Levant was discovered at Tel Erani, scholars have been trying to identify Early Bronze Age (EBA) occupations contemporary with that Egyptian king’s reign. The serekh, assigned in a series of publications to Tel Erani Stratum IV, was subsequently considered a chronological peg for south Levantine-Egyptian correlations at the end of the 4th millennium. The unearthing of a second Narmer serekh at Arad, definitively assigned to the Stratum IV occupation there, was considered an additional fixed point for chronological correlations. Despite discoveries in the southern Levant of more than a score of additional serekhs, many bearing Narmer’s name and one incised for his predecessor, Ka, none of the additional examples was discovered in situ, in sound stratigraphic context. Thus, the absolute chronological correlations between the southern Levant and Egypt for this time span rest solely on the evidence of the serekhs from Tel Erani and Arad. Although both purportedly derive from chronologically relevant contexts, careful consideration of their find spots questions their stratigraphic ascriptions and hence their utility as chronological benchmarks. This paper reviews germane data on the archaeological provenance of these two serekhs, including some previously unpublished information from the excavation records of Tel Erani. Also considered are the Strata IV and III occupations at Arad in light of what is understood of Egyptian activity in the southern Levant at the end of Dynasty 0. The result of this inquiry offers a slightly refined scheme for the chronological correlation of south Levantine occupations with the reign of Narmer, last ruler of Dynasty 0. Additionally, it offers evidence of tangential importance for understanding the beginnings of the Egyptian state by identifying neighboring polities with which it came into contact on the very eve of Dynasty 1. The modern rediscovery of the Greek and Latin papyri from Egypt has transformed our knowledge of the ancient world. We cannot, however, make the same claim in the specific area of language study. Although important studies of the language of the papyri have appeared sporadically over the past century, we are still dealing today with a linguistic resource of extraordinary richness which has hardly begun to be explored. Every scrap of papyrus and every ostracon (potsherd) or tablet unearthed has the potential to change some aspect of the way we think about the Greek and Latin languages. This book demonstrate that potential, by gathering together essays from seventeen scholars who present a variety of perspectives and methodological approaches. The Language of the Papyri charts current directions of international research, and will also provide a stimulus for future work. Readership: Scholars and students of classics, ancient Greek and Roman history and culture, papyrology. The San Diego-based publisher has produced a beautiful new edition of this rare volume. The handsome hardcover book includes all three original half-tone illustrations by Emile A. Nelson, plus new decorations by Eric Shanower, the award-winning writer/artist of Age of Bronze: The Story of the Trojan War, and an expert foreword by Egyptologist and Baum scholar David Moyer that explains the historical significance of the actual lost treasure of ancient Egypt's Karnak Temple. The book also includes a fifty page appendix of Maud Baum's Egyptian travel journal from 1906. The tour of Egypt that Maud took with her husband L. Frank Baum inspired the story of Sam Steele's Egyptian adventure. More than a dozen vintage photographs taken by L. Frank Baum himself--some never before published--accompany this detailed account of the trip. The Treasure of Karnak is the latest release in Hungry Tiger Press's decade-long project of reprinting all of L. Frank Baum's Young Adult adventure novels. So come explore Egypt with boy-adventurer Sam Steele on a thrilling and dangerous quest to find an ancient Egyptian treasure of unimagined wealth. Struggling against all odds--against pits filled with scorpions, traitorous allies, murdering desert tribes, mad camels, even the Egyptian government--the crew of the good ship Seagull finds something that has eluded scores of searchers for more than two thousand years, the hiding place of the legendary treasure of Karnak! If you love Indiana Jones movies or the books of H. Rider Haggard, you're bound to enjoy Sam Steele's Adventures: The Treasure of Karnak. Sam Steele's Adventures: The Treasure of Karnak may be ordered directly from the publisher for $29.95 plus $6.00 Shipping ($10.00 outside USA) from Hungry Tiger Press, 5995 Dandridge Lane, Suite 121, San Diego, CA 92115. The book may be ordered online, too, at: www.hungrytigerpress.com where you can also read a free excerpt from the exciting novel. An excellent factual and no-nonsense profile of SCA General Secretary Zahi Hawass. Zahi Hawass (b. 1947), a native of Damietta, Egypt, has served as his country's Secretary General of the Supreme Council of Antiquities since 2002. The award-winning Director of Excavations at the Giza Pyramids, Saqqara and Bahariya Oasis became a National Geographic Explorer-in-Residence in July 2001. One of Time magazine's Top 100 Most Influential People in 2005, the world-renowned archaeologist and Egyptologist was appointed Deputy Minister of Culture in November 2009. Having studied law, Hawass turned his attentions to Greek and Roman archaeology at Alexandria University, where he received his bachelor's degree. With a diploma in Egyptology from the University of Cairo, the Fulbright Fellow eagerly pursued his doctorate in the same subject at the University of Pennsylvania. He earned the advanced degree in 1987. After 1988, Dr. Hawass taught at the American University in Cairo and the University of California-Los Angeles. Involved tirelessly in the construction of 19 new museums, he currently supervises programs that train a fresh generation of Egyptians in the modern methods of systematic excavation, conservation, preservation, restoration and site management. 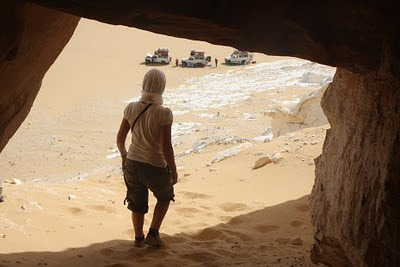 Ok so it's not Egypt but if you want to get involved in Saharan archaeology this might be a very fine way of doing so. Here's an extract from the above page. See the above page for full details and photographs. We are currently seeking volunteers for both excavation and reconnaissance survey work in November 2010. See below for more details of the next season. Volunteers play a vital role in the work of the Western Sahara Project, and make a major contribution to the funding of the Project, which is run on a not-for-profit basis, with all funds raised going towards the costs of fieldwork and laboratory analysis. 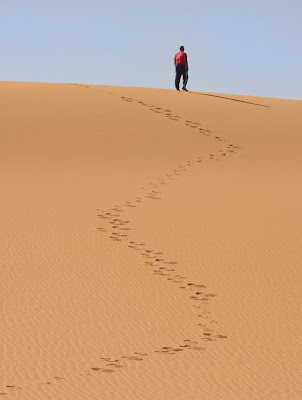 Volunteering for a Western Sahara Project field season is a way of experiencing a unique desert environment and culture in a part of the world which is largely closed to outsiders. Volunteering is also an opportunity to learn about the fascinating and little-known archaeology of this remote region and of the Sahara at large. Many of our volunteers have found a trip to Western Sahara to be a life-changing, and enhancing, experience, and a number have participated in multiple seasons of fieldwork. Volunteers can participate in both reconnaissance surveys and excavations, although more commonly participate in the former. 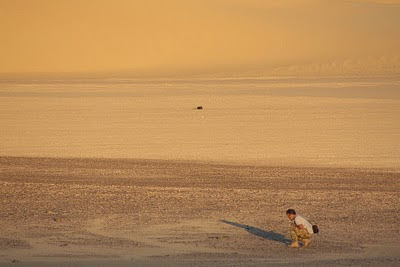 No experience of archaeology or desert travel is required in order to volunteer for reconnaissance survey work. Excavation work can incorporate both experienced and inexperienced volunteers. See below for more details, for requirements for specific seasons of fieldwork (currently October 2009), and for general information about future field seasons. The Project runs at least one field season every year. Reconnaissance survey work tends to take place in the autumn (October or November), and excavation work in the spring (March-April), although this situation may change in the future. Where a season combines both excavation and reconnaissance/environemntal work, it is possible to volunteer for either excavation or reconnaissance. While excavation and reconnaissance teams are likely to be in close contact while in the field, for logistical and practical reasons it is not possible to swap from one team to the other once in the field. Excavation work is more physically demanding than reconnaissance work, but represents an excellent opportunity to gain experience of archaeological excavation in a region in which almost no excavations have been conducted, and would suit people embarking on an archaeological career and wishing to expand their digging experience. Reconnaissance work provides an opportunity to gain general archaeological experience, and experience of arid environments and palaeoenvironmental research. The cost of participating in a field season of reconnaissance survey work is comparable with the cost of many adventure holiday packages, or the cost of participating in a conservation project such as those run by many charitable organisations. For further information on specific seasons, see below or contact Nick Brooks. Such good news for the potential of cancer research that I just couldn't resist posting it. Amongst all the very important small steps to finding more ways of fighting cancer this really is a biggie. I'm back in Wales which means that I'm short of photos again. Known locally as "Cleopatra's Needle" it was actually erected by Tuthmosis III in Helipopolis. Read more about it at historic-uk.com.